Mike cannot run as a write-in candidate without filling the paperwork that would be necessary. That did not kill his aspirations and excitement. He went back 5 hours later to post a video on Instagram to acknowledge he cannot run and was happy that he was able to draw attention to this race. We have BIG Problems in education, schools and prison reform in Ga and I wanna see change. I wanna see Yall active in Local politics. The fact that ya’ll are willing to support me shows change is possible and while I run around rapping with @thereallyrealelp doing #RunTheJewels for the next few yrs I want ya’ll to get & stay active and Run for office! We need more New and fresh ideas & people! Killer Mike also ended with the comment, “I will Run In the Future and We Will Win! 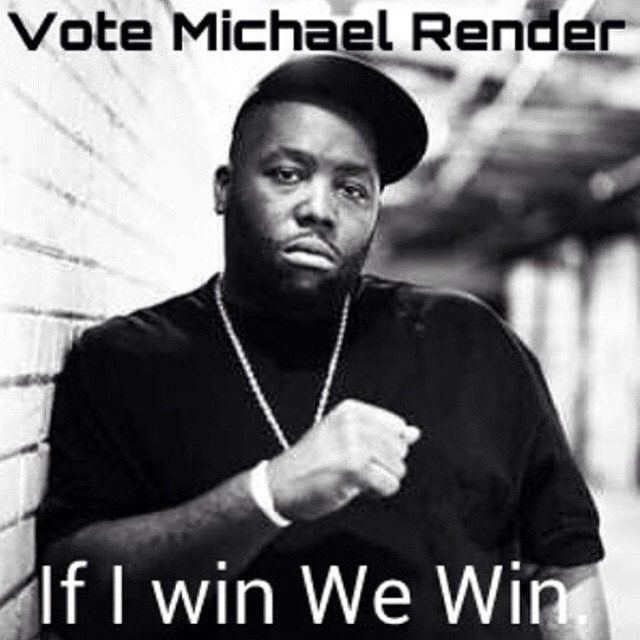 Love and Respect Michael Render.” Special elections tend to always have very small voting turnout, so even if Killer Mike cannot run being able to see if he changed the outcome will be worth watching out for. There seems to be a real change in consciousness in hip hop as of late. The success of J. Cole and Kendrick Lamar was a sign with their sales and corresponding content, but rappers wanting to actually run for office is another beast in itself. 2 Chainz and Waka Flocka have expressed their intentions and thoughts about running for public office. If people will take Donald Trump for president seriously, that is all the more reason for rappers to organize and run for office of their own. Who is lethal ? Where did he come from ?